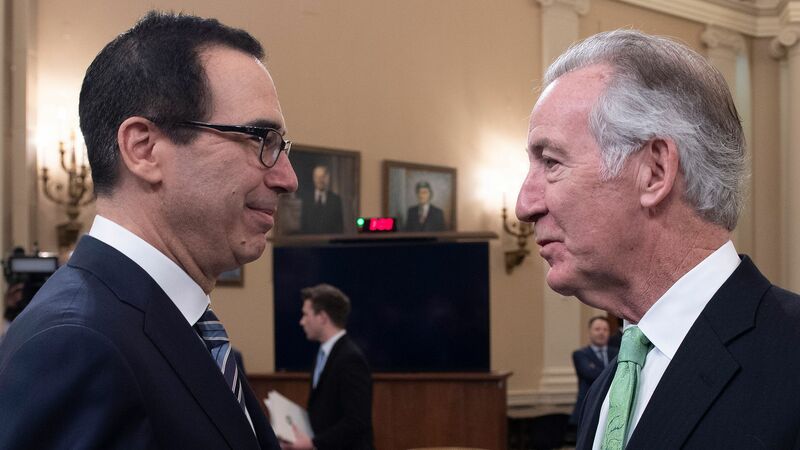 Democrats have long promised to get hold of President Trump’s tax returns once they retook the House, but House Ways and Means Committee chair Richard Neal’s lack of urgency to submit a request — 3 months into the new Congress — means that the documents might not be handed over before the 2020 elections, the HuffPost reports. The state of play: Treasury Secretary Steve Mnuchin, who would have to respond to a request to turn over the documents, has declined to explicitly say whether he would release them, telling Congress "based on the request, we will examine it, and we will follow the law." This could raise the likelihood of a prolonged battle in court. Per the HuffPost, Neal has said the committee's lawyers are working carefully to put Democrats in "the most advantageous position possible for the expected court fight," but he has yet to commit to a timeline. According to Ways and Means member Rep. Bill Pascrell (D-N.J.), the court process could take 8 or 9 months, meaning the request would have to be submitted soon if Democrats don't want to be perceived as interfering with the 2020 campaign. Editor's note: This article has been corrected to note Mnuchin's quotes on the Trump tax returns. It originally claimed that Mnuchin "has said he will not release them."